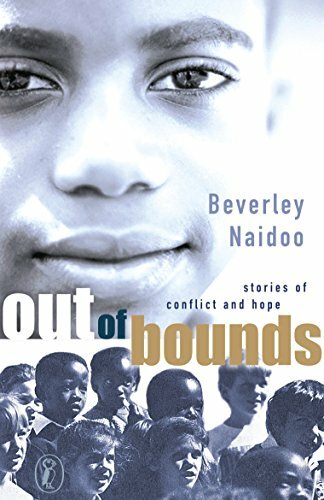 Beverley Naidoo is the Carnegie award-winning author of The Other Side of Truth and many other books for children and young adults. 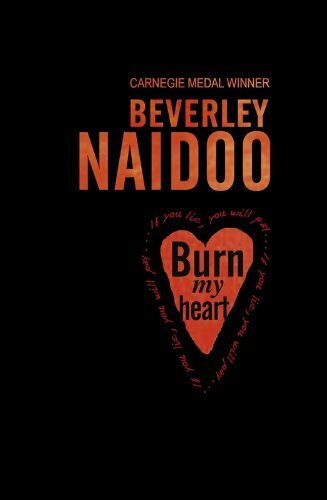 Brought up during the apartheid years in South Africa, much of Beverley’s writing reflects crossing boundaries and she has set novels in South Africa, Nigeria, Kenya and the UK. Exiled for campaigning against apartheid in 1965, Beverley came to the UK, where she has lived ever since. Her first novel, Journey to Jo’burg, was banned in South Africa until 1991 and has never been out of print since its publication in 1985. It appears in the Collins Modern Classics list and is frequently used in schools. You’ve chosen to discuss stories about courage and kindness. 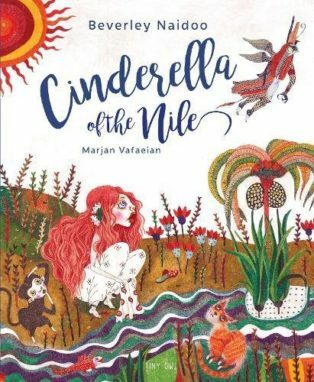 These are important themes in your most recent book Cinderella of the Nile, a re-telling of an ancient version of the Cinderella story for children aged between five and nine. This is quite a different story to the Cinderella of Walt Disney or Charles Perrault. Cinderella of the Nile is set between Greece and Egypt, and in this version Cinderella is called Rhodopis. She is abducted from Greece and sold as a slave in Egypt. It’s very different, isn’t it? I also grew up with the Perrault version, as I think most of us did. Elements of this much more ancient version were originally written down by Herodotus and, some four hundred years after Herodotus, it was retold by Strabo – with a few inventive changes that make us think of Cinderella. It’s not clear if Herodotus was originally acting as a historian or storyteller. There are so many versions of these stories. It’s easy to forget that, because we’re so familiar with the Walt Disney version. Of course, what we would recognise as the Cinderella story in my book largely takes place when she’s in Egypt, but the back story also resonates with the persecuted heroine theme. There is also a magic element that comes into the story with Horus the Falcon instead of the fairy godmother. When I read what Herodotus wrote about Aesop I thought, “Wow. What a wonderful opportunity for a storyteller to expand.” It was Herodotus who said that Rhodopis met Aesop and that they were enslaved by the same slave master. I found myself wondering what would that mean for her? I think what’s important is her kindness and resilience. All interpretations of Cinderella have someone who, in their character, has a moral kindness about them. In this earliest version, certainly in my interpretation, it’s also a moral toughness. Rhodopis remains her own person. To me, Marjan Vafaeian’s illustrations beautifully convey our heroine’s independence of spirit, despite being enslaved. 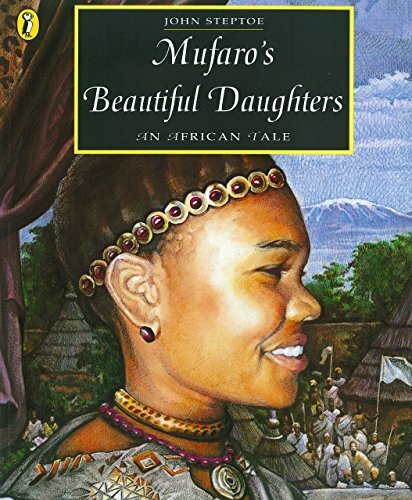 Let’s look at your first choice Mufaro’s Beautiful Daughters, an African tale for children aged five to seven. This book is also about resilience and kindness. It really is a kind of African Cinderella with John Steptoe’s illustrations adding classical beauty to a tale that must have survived many centuries through oral storytelling The comparisons with Cinderella include a magical element to the story, but particularly, the relationship of the two sisters. There is a very mean sister, who is always jealous and bad tempered, and there’s Nyasha, who’s generous and kind spirited. Her kindness, extends to animals which, again, is an interesting element, isn’t it? Because I think of Perrault’s Cinderella, and the little animals who befriend her. Both sisters must go on a journey and they are faced with challenges. The sister that makes the right decisions, although she doesn’t know it at the time, is the sister who will become queen. The key is that no matter what hardships befall Nyasha (the Cinderella character) she remains generous and kind – it is in her nature. Some people just seem to have those qualities. They acknowledge inhumanity but they have that ability to maintain their own humanity. In fairy tales these qualities are very important. Kindness isn’t always rewarded in life, but isn’t it nice when it is in a good story? And children are – for the most part – very moral creatures, so it’s a reassuring structure. Absolutely, and I think that must be part of why these tales have endured so long. Even the rather gory versions like Grimms’ Tales, you know, with the cutting off of toes and all that, even in these, the common element is the fact that the good people are kind and have a moral centre to them. I also find it interesting that these stories, and stories like them, have been alive in other cultures for centuries and that we’ve been largely blinkered to them until recently. Now, thank goodness, some of them are coming through in children’s books like these. 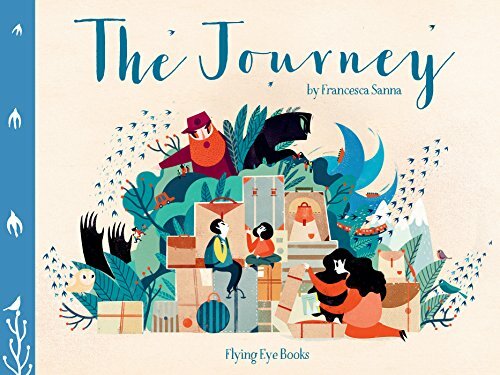 Shall we look at your second choice, The Journey by Francesca Sanna, for children aged five to seven? 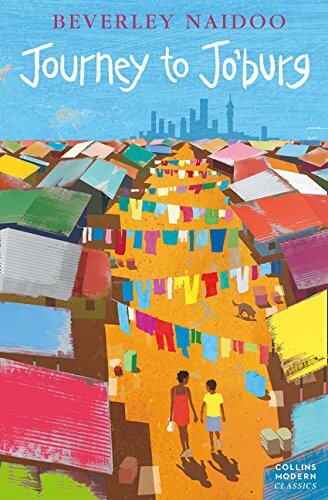 This book is told through the eyes of a child, and is about the experience of a family escaping the turmoil of war in their homeland and forced to become refugees. I just think this is a wonderful book. Particularly how she’s written what are terrible and true contemporary tragedies using really very simple storytelling. Although what appears simple is not necessarily simple at all. It’s understated and that understatement is important because it leaves imaginative space for the reader. Francesca Sanna’s illustrations encourage readers to ask questions beyond the words. I understand that Francesca Sanna interviewed refugee families in Europe, and created this book as a tribute to their plight. At the same time, it’s an exploration of the Declaration of Human Rights for children. I just find how she conveys the terror of fleeing your home and becoming a refugee so powerful. And all this tragedy is countered by the depictions of the strength of the mother’s love. Again, I would say this a book about kindness, hope and resilience. These are the qualities the characters need to survive their journey and keep hope alive. And, although it is not a fairy tale, there are some similarities in the qualities the characters possess in order to survive. There’s a direct link in many ways, between this book and your next choice, Azzi In Between by Sarah Garland, for those between seven and 11. This is another book that was inspired by true accounts of refugee children – yet it isn’t a sad book, it’s full of warmth. To me, these books offer ways of seeing and understanding some of the frightening things happening in the world today. For me, having been brought up under apartheid where access to ways of seeing reality were actually closed down to me – because of my experience I am in favour of allowing young people to see the world – not telling them how to see it, absolutely not – but of encouraging them to look and ask questions. In my whites-only school in apartheid South Africa, I would say that I was ‘schooled’, not educated. ‘Education’ means to open out, to lead outwards. Most of white society around me as a child was similarly blinkered, bringing up white children to ignore the experience of black people under apartheid. I would say that this was not just in South Africa, but typical of the experience of most white colonial children, as well as in the mother Britain. This is something I explore in my novel Burn My Heart set in Kenya in the early 1950s, through the eyes of two boys, so close and yet so far apart. I preface the novel with an old Gikuyu saying ‘Nobody walks with another person’s gait.’ How very true… and yet we have the gift of imagination. Can we not use it? 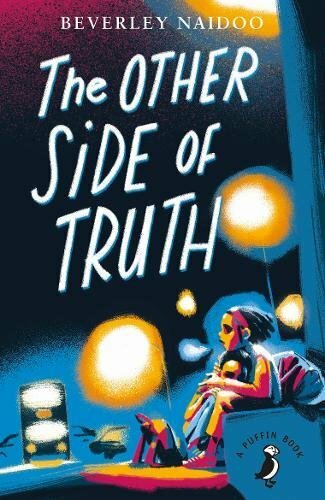 My novel The Other Side of Truth is also full of questions. After being detained by South Africa’s security police under the 90 Day Act, I came to Britain and exile in the 1960s. Yet no-one here referred to me as a refugee although I was seeking refuge. Had I been a black South African, I expect that would have been different. By 21, I had made my own decisions about resisting apartheid that led to my detention and exile. I would not have changed those decisions. However, in The Other Side of Truth, my two children inherit the consequences of their journalist father’s decision to challenge the military dictatorship in Nigeria in 1995, by speaking truth to power. There are no easy answers and there is a lot of tragedy in the world and always has been. I think fairy tales and stories of courage and survival can help children feel less alone, and that injustice cannot be ignored. And show that is there a way in which they can make a difference, however small. One of the ways I would suggest is to be kind. Kindness must be a start. And this comes through very clearly in Azzi In Between. It’s very touching – we know the family has to flee, and we know the journey will be dangerous. The story shows how the war gradually seeps into their lives and how the the acts of kindness they receive – and how kind they are to each other – is how they are able to keep hope alive and face new beginnings. Sarah Garland’s touching illustrations play an important part in vividly conveying the range of emotions experienced by Azzi and her family. 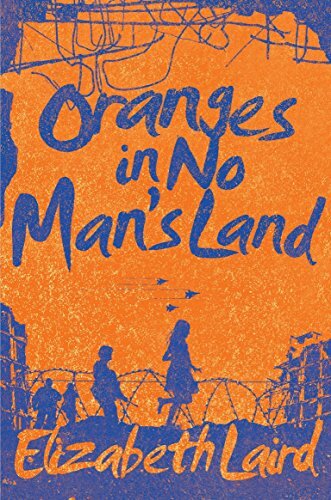 Your next choice is Oranges in No Man’s Land by Elizabeth Laird, for nine- to 12-year-olds. 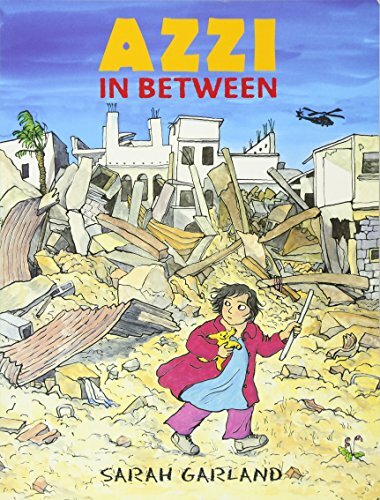 It is the story of a young girl, Ayesha, living in war-torn Beirut. Her father is away and her mother has been killed. Ayesha and her younger brother live alone with their grandmother. When her grandmother becomes ill Ayesha realises she must cross no-man’s land to reach a doctor. 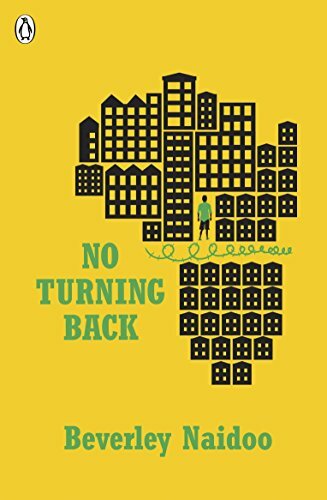 This is narrated by an older person looking back so you have a sense of the voice of someone who survived and we have the author’s preface telling us how, as a young mother, she lived in Beirut during the civil war, giving us a little background. There is brutality – the brutality of war. All war is brutal. But it is acts of kindness that make a difference. This book is also about the courage that the young Ayesha displays. And it is about imagination – it tells us that we mustn’t lose that imagination. Ayesha dares to imagine that survival is possible and you have to do that if you’re in such a desperate situation. If you allow yourself to be brought down by the desperation, you’re finished. Fortunately, the kindness prevails. There’s also an element of luck and it does work out for Ayesha in the end. For me, the book’s brilliance is in its apparent simplicity. Elizabeth Laird cuts through the complexities of the political and social reality and filters a story that allows readers, whether young or old, to understand what the war means through the eyes of a child. It’s courage, and the courage to imagine that you can survive. That is so important. Your final choice is Once by Morris Gleitzman, also for children aged nine to 12. 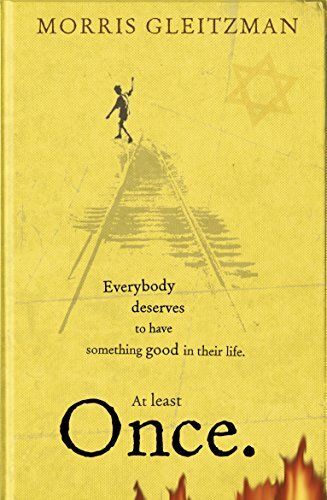 This is the first in a series of children’s novels about a Jewish orphan called Felix, caught in the middle of the Holocaust. In this first book, Felix – imagining his parents to be alive and in danger – escapes his orphanage and goes on a long and dangerous journey through Nazi-occupied Poland. He makes friends on this journey with a little girl called Zelda. He imagines, his parents still to be there, and then he’s imagining how they would like him to be and how they brought him up to be, and that surely is also the basis of how he survived this huge brutality. Despite the horrors and danger he maintains his morality and courage, risking his life to protect the younger child Zelda. Amazingly, Morris Gleitzman’s trademark humour shines through this dark subject matter. Here, too, is the reminder of humanity in the midst of its opposite. When I was writing The Other Side of Truth, part of my research was to talk to child psychotherapists about how some children come through terrible situations. So, I went to the Medical Foundation for the Care of Victims of Torture (now named Freedom From Torture), and I spoke to the wonderful child therapist Sheila Melzak. I learned that it is those children who understand that it is not them personally being targeted who survive with the least permanent damage. They understand that they have been unfortunate to be caught up in a terrible situation. They have an idea of the bigger picture. In these books, there is a kindness, a generosity, love ultimately triumphs over hate. These books are coming from a position of realising that in order to survive the terrors of war, and the suffering that human beings can inflict on each other, you do need some kind of moral centre of your own.